New research suggests that tiny pieces of plastic are making their way into marine organisms and seafood. I	I	f you’re ordering seafood these days, you may be getting a side of plastics, whether you want it or not. New research funded by the U.K.’s Natural Environment Research Council has found that tiny particles of plastic called microplastics or nanoplastics are accumulating within the intestines and other organs of the great scallop, a commercially important species harvested for food. Although the new research used laboratory conditions to track the absorption of nanoplastics, it points to current ocean pollution issues and a growing concern over microplastics and marine organisms. The study, which was led by the University of Plymouth in England and published in the journal Environmental Science & Technology, is the first to investigate the uptake of nanoplastics in “predicted environmentally relevant conditions.” In other words, the laboratory experiments were designed to approximate current levels of plastic pollution in the world’s oceans. RELATED: It’s Not Just an Ocean Problem. Microplastics Pollute Rivers, Lakes, and Land, Too. The results were alarming. 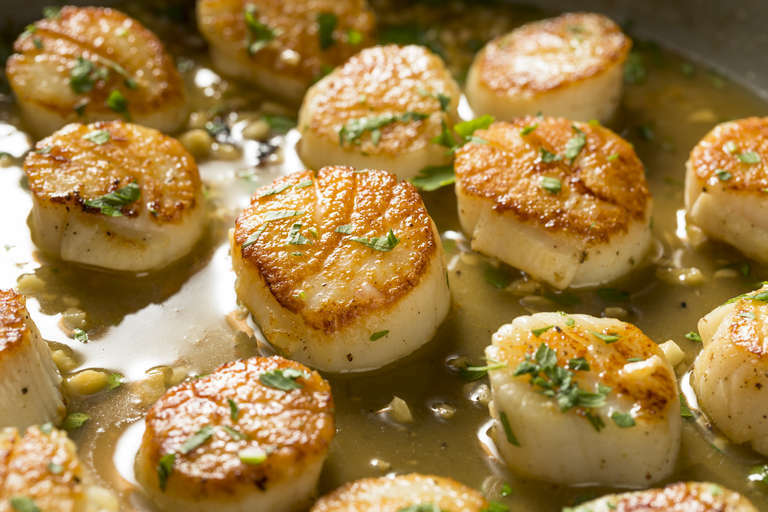 Tests found that after only six hours of exposure in the laboratory, billions of particles of nanoplastics had accumulated within the scallops’ intestines. The particles found in the intestines are very small indeed, measuring around 250 nanometers. For comparison, consider that a strand of human hair is about 100,000 nanometers in thickness. Even more concerning, the research team found that still smaller particles of plastic — approximately 20 nanometers around — were found elsewhere in the body, including in the kidneys, gills, muscles, and other organs. “The results of the study show for the first time that nanoparticles can be rapidly taken up by a marine organism, and that in just a few hours they become distributed across most of the major organs,” said project leader Maya Al Sid Cheikh, in a statement. 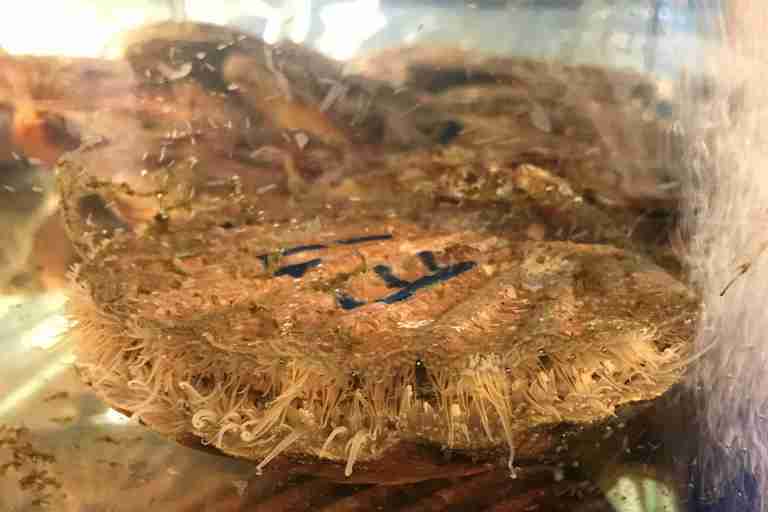 Further tests confirmed that the plastic particles tend to remain in the system even after the scallops are moved into clean water. The smaller 20 nm particles were still detectable after 14 days, while the larger 250 nm particles took over 48 days to be fully flushed from the system. Richard Thompson, head of the university’s International Marine Litter Research Unit, called the study groundbreaking in terms of both the scientific approach and the findings. The study also involved scientists from the Charles River Laboratories in Elphinstone, Scotland; the Institute Maurice la Montagne in Canada; and Heriot-Watt University in Edinburgh, Scotland. While the new research does not directly address the issue of plastics making their way into the human food supply, Ted Henry, professor of environmental toxicology at Heriot-Watt University, said the work is a critical first step. “Understanding whether plastic particles are absorbed across biological membranes and accumulate within internal organs is critical for assessing the risk these particles pose to both organism and human health,” he said.